Glaucoma – increased pressure within the eyeball. If untreated, any of these conditions can be very serious. Overall, diabetic eye disease is the leading cause of preventable severe vision loss and blindness in Australians under 50. The underlying reason why diabetes is so hazardous to vision is that it hinders or prevents your body from controlling blood sugar levels. When blood sugar is too high for too long, the tiny blood vessels within the eyeball sustain various kinds of damage. 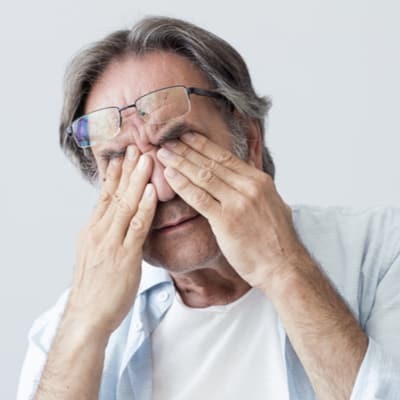 How common is diabetic eye disease? Nearly 100 percent of people with Type 1 diabetes and more than 60 percent of people with Type 2 diabetes will develop diabetic eye disease within two decades of diagnosis. Diabetic retinopathy and diabetic macular edema have a well-known relationship with diabetes. For cataracts and glaucoma, the link between diabetes and their prevalence is known, but the strength of these relationships is still being researched. flashes or spots of light or dark that appear by themselves. Diabetic eye disease responds well to treatments used for conditions that, while similar, are not caused by diabetes. Further, techniques that inject medication directly into the back of the eyeball at the source of the damage are showing great promise.